In large saucepan, cook rotini as directed on package, adding broccoli and shrimp during last 2 to 4 minutes of cooking time. Cook until broccoli is tender and shrimp turn pink. Drain; return to saucepan. 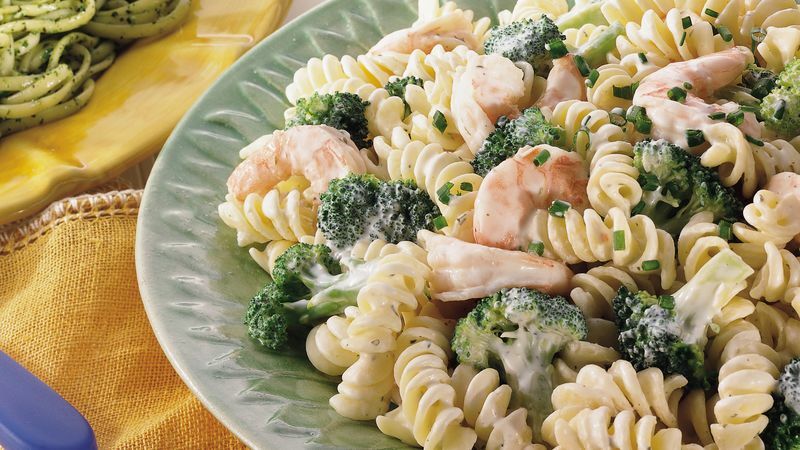 Add cheese, milk and salt to cooked rotini, broccoli and shrimp; toss gently to coat.